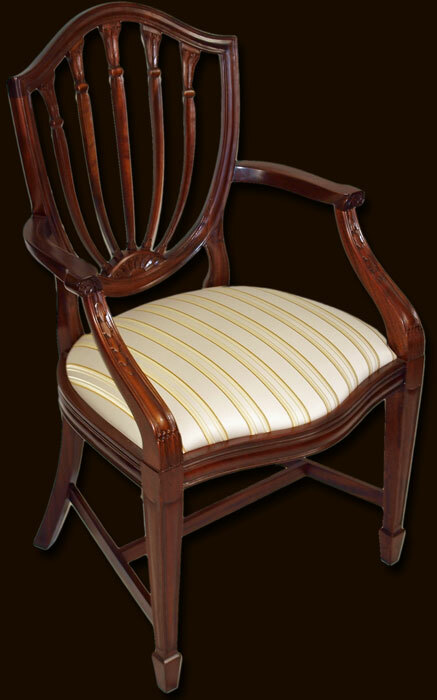 Classic Sheraton style five - finger dining chair. Comfortable and stylish due to the elegant curved back rest and finely carved detail throughout. Available to match any chosen dining table wood (yew,mahogany or oak) and finish or to colour match to your existing table. Choose from one of our fabrics or supply your own! 84" Extended, with a 21" centre leaf. 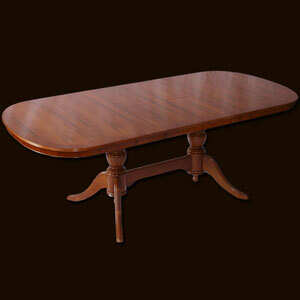 Superb antique reproduction extendable dining table. Available in mahogany, yew, oak, burr walnut and in a variety of wood shades. 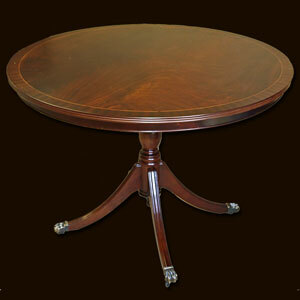 Bespoke and made to measure reproduction dining tables are available - please ask..
Marshbeck Reproduction Furniture. 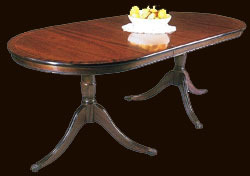 Specialists in Yew and Mahogany Reproduction Furniture. Suffolk,CO10 9PT, UK.01787 247548.All images and text are property of Marshbeck ltd-All rights reserved --- Site by Marshbeck©.